This is another follower requested by a generous person who gave me a donation. She’s a fire mage and she shouts. She’s also a dragon and is very powerful. not dragoborn, not half dragon, but a full on dragon. I tried to balance her to not be OP, but she is a force to be reckoned with. 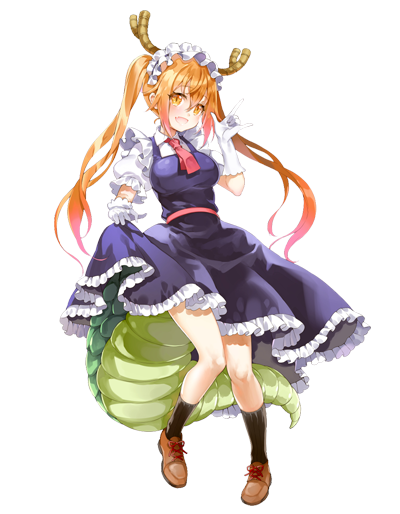 Tohru is a powerful elder dragon who was wounded badly. She used a spell she learned many years ago to make herself into a human to live among them as a maid. She’s interested in how humans live. She senses something within you, maybe your dragon blood? Either way, she will follow you forever and ever and offer you parts of her tail to eat because she’s a weirdo. She’d also like it if you give her a bath. In her dragon form. (Please note, this follower doesn’t actually turn into a dragon because idk how to mod that).